Our branded swag has arrived! 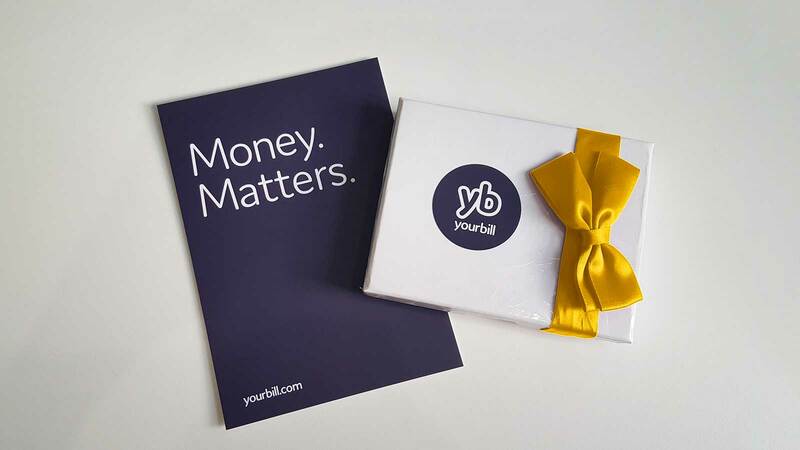 You might have already seen a sample of our business cards and notepads on Instagram, but this week the postman dropped off a few more branded parcels at Yourbill HQ. 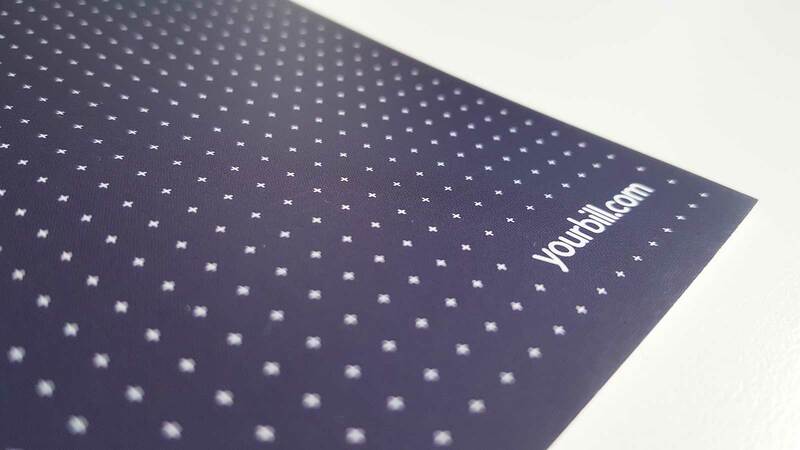 We’ve been ordering some more stationery, and it’s great to see the Yourbill brand really starting to come to life. We decided to forego the typical compliment slip as we wanted something more flexible, so we opted for postcards instead. They’re simple but effective and are a handy communication tool to have in our arsenal. 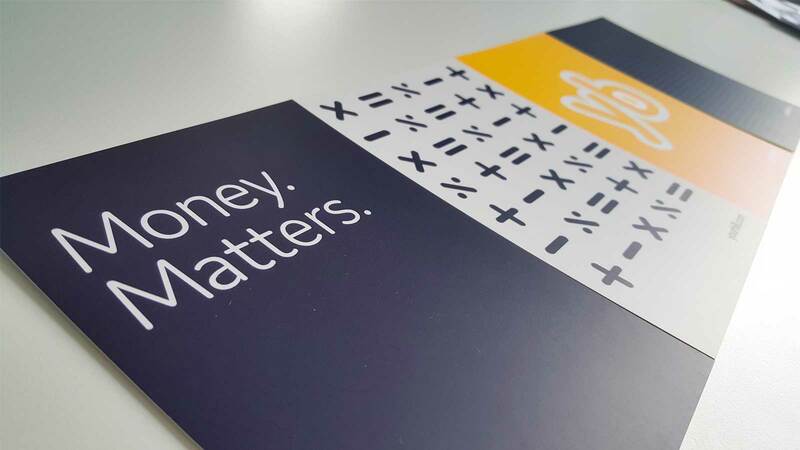 Mark (our Chief Creative Officer) put together a few different designs that we can use for different purposes, from more formal communications to casual ‘thank you’ notes. The postcards look slick and feel even better (that’ll be the soft touch finish doing what it says on the tin!). The stickers are a bit more playful and allow us to quickly and consistently brand items (like the gift voucher box pictured above). 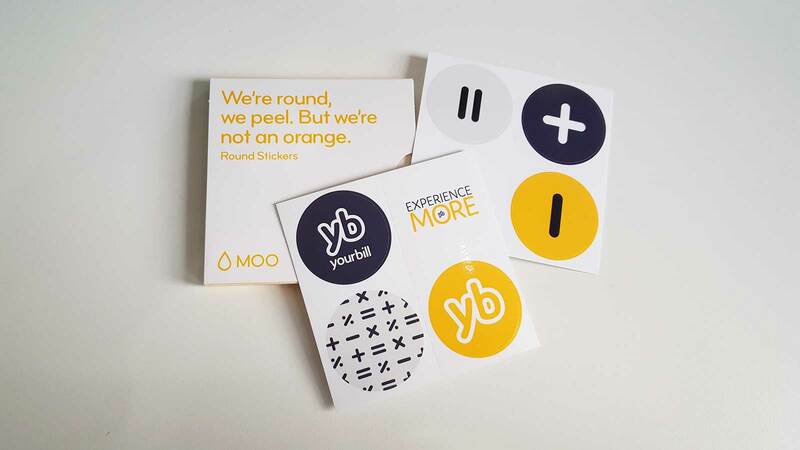 Mark wanted the stickers to emulate the ‘bold simplicity’ that the Yourbill brand embodies, and we think he pulled it off pretty well! If you can’t tell, we’re chuffed with how they turned out, and we couldn’t praise Moo enough for their customer service too. Not only is it incredibly easy to order (anything) from Moo, but you know it’ll always arrive on time, in lovely packaging and that it’ll be finished to the highest quality. They even followed up with a courtesy call on the delivery date to check that we were happy with everything, needless to say, we were – talk about a good experience! If you’d like to get your hands on your own postcards and stickers, you can order them online from Moo (they’re currently running a promotion on all postcards, so you can nab yours from just £15.59). Visit Moo’s website and start creating your print work. Who knew you could get so excited about postcards and stickers?! 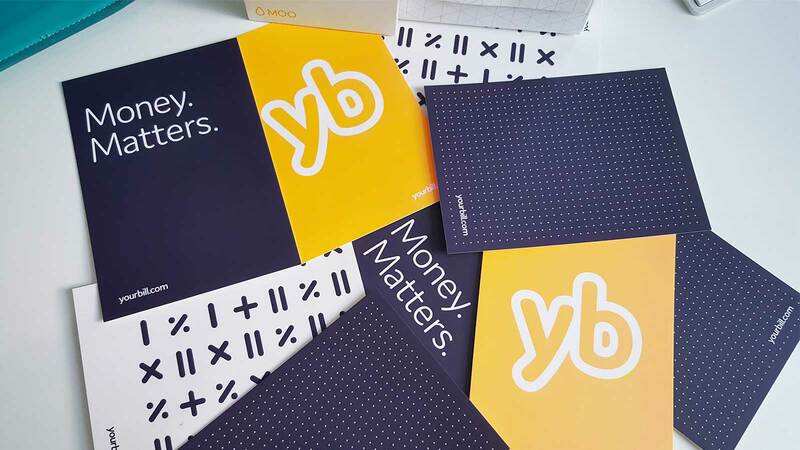 To find out more about the thinking behind the Yourbill brand, read our Q&A with Mark. 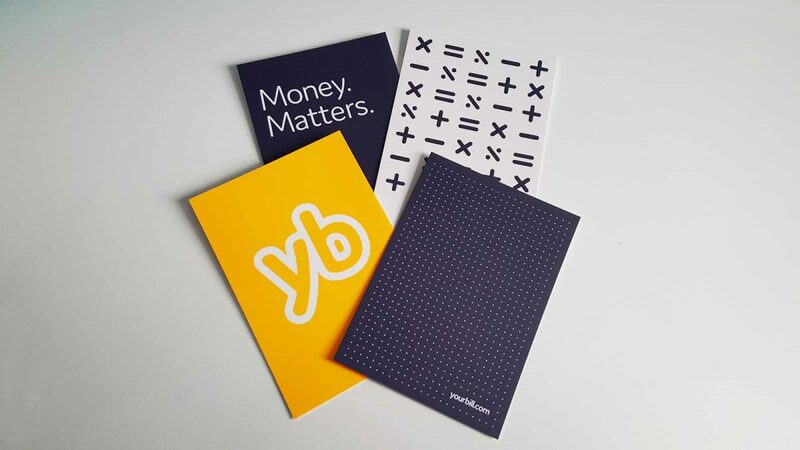 Yourbill is a simple and powerful bookkeeping platform for Freelancers and Small Businesses. We believe that invoicing and expenses should be simple, because running a business can be complicated enough. Enter your email for regular updates on the industry, our product and us. Thank you for successfully registering your interest in Yourbill – we'll be in touch! !